You can download the July release (build number: 14.16.6768.3) from the link below and continue reading for more details about each enhancement. 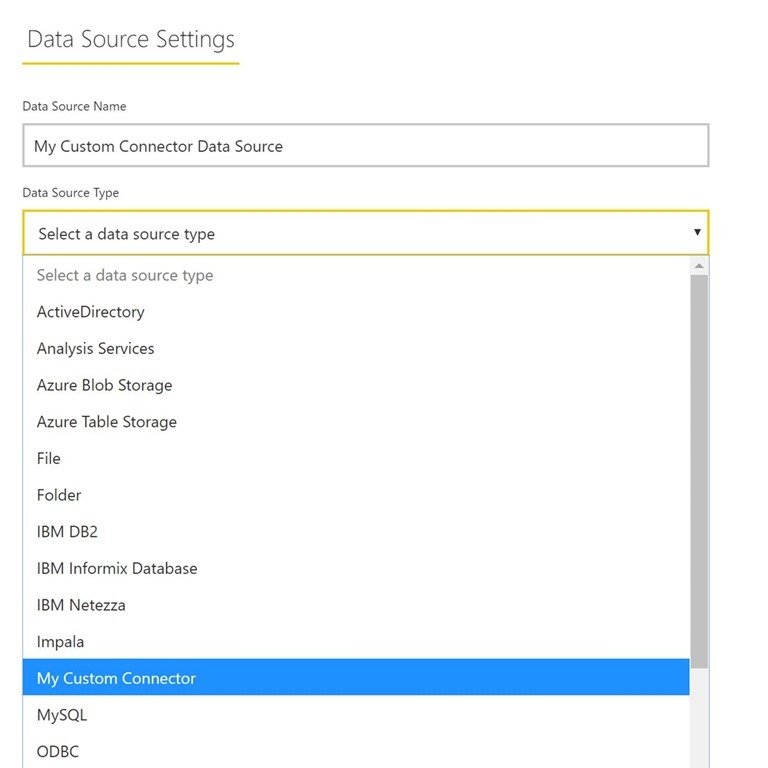 Data Connectors for Power BI enable users to connect to and access data from an application, service, or data source. For some time now, you have been able to develop custom connectors and use them in Power BI Desktop. You can find more details on how to develop and use custom data connectors here. 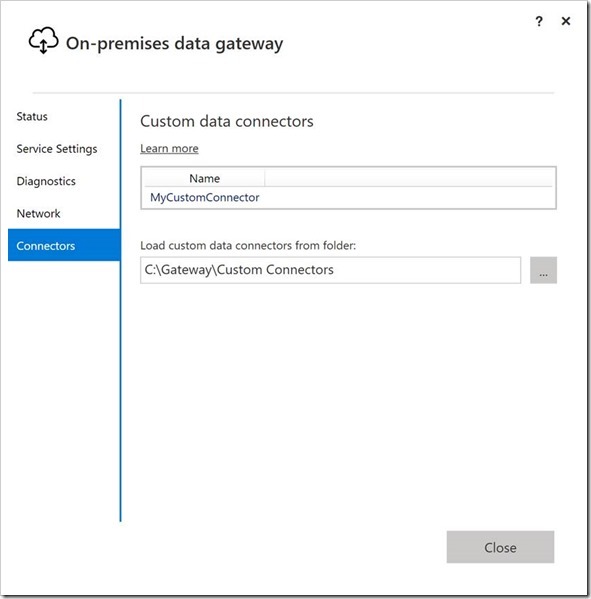 In April, we announced the support for custom connectors in the personal gateway. 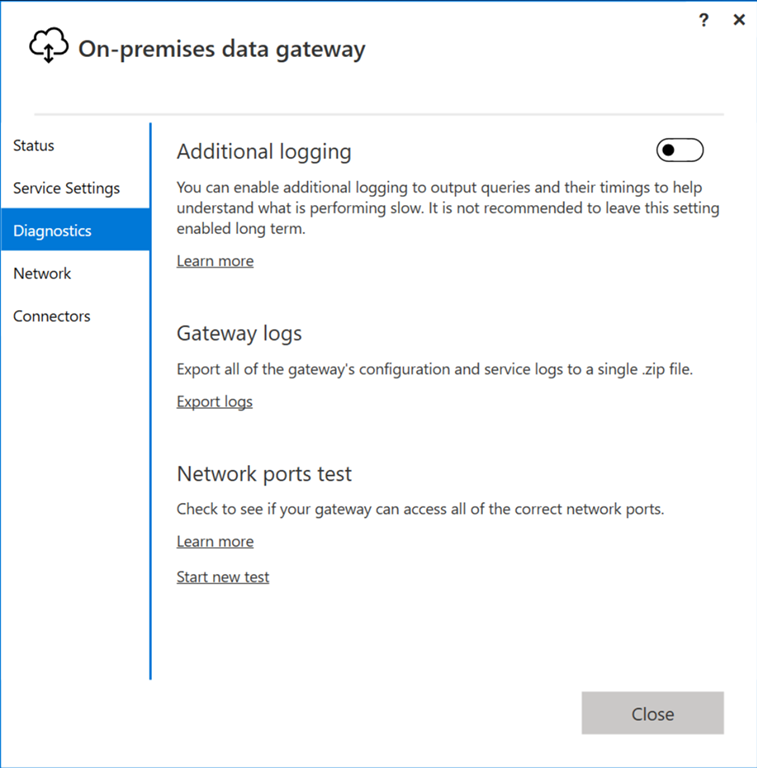 This month we are excited to announce that the enterprise gateways now support custom data connectors as well. 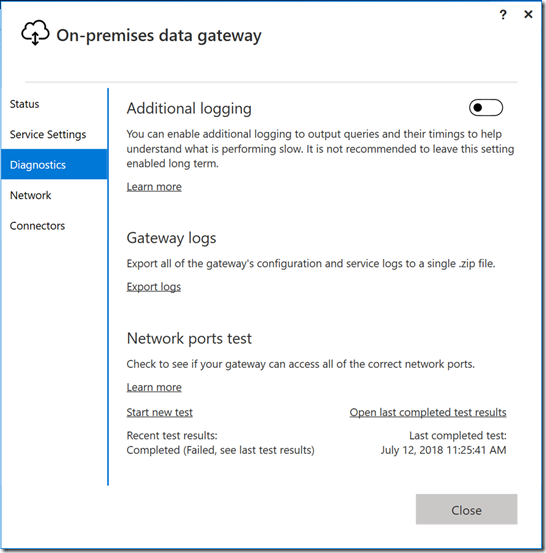 When you install the July version of the on-premises data gateway, you’ll see a new “Connectors” tab in the configurator with an option to choose a folder to load the custom connectors from. Make sure you pick a folder that can be accessed by the user running the gateway service (which is “NT SERVICE\PBIEgwService” by default). 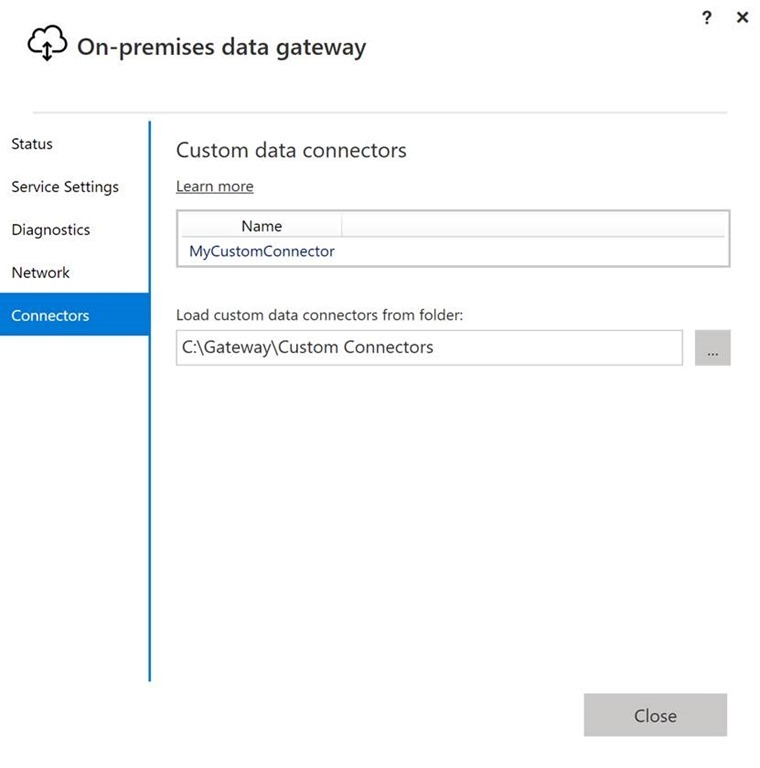 The gateway will automatically load the custom connector files located in that folder and you should see them in the list of the data connectors. 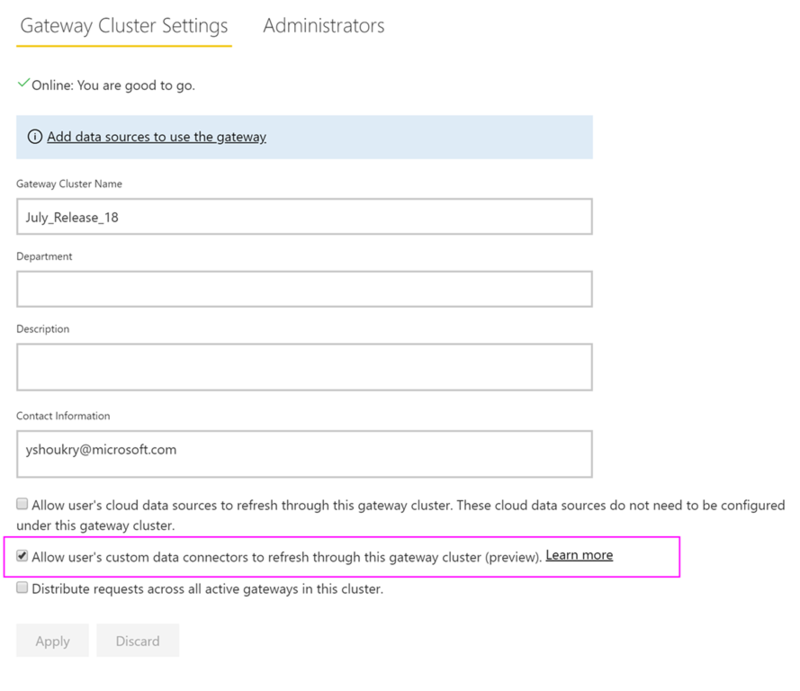 In the gateway settings page in the Power BI service, you will see a new option when you select the gateway cluster to allow using custom connectors with this cluster. 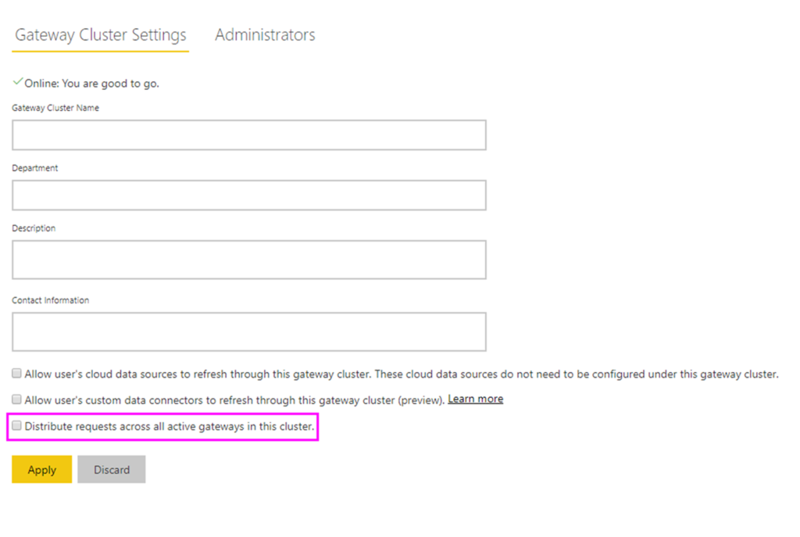 Make sure all gateways in the cluster are updated to the latest July release for this option to be available. Now select that option to enable using custom connectors with this cluster. 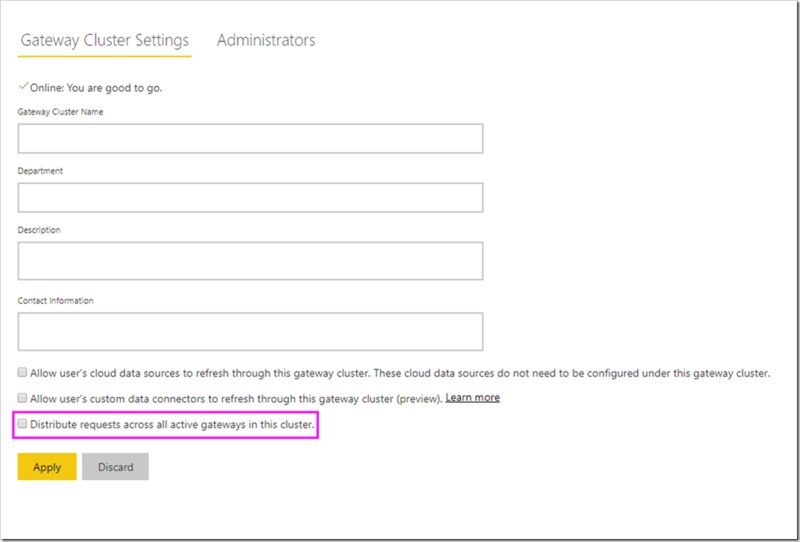 When this option is enabled, you will now see your custom connectors as available data sources that you can create under this gateway cluster. 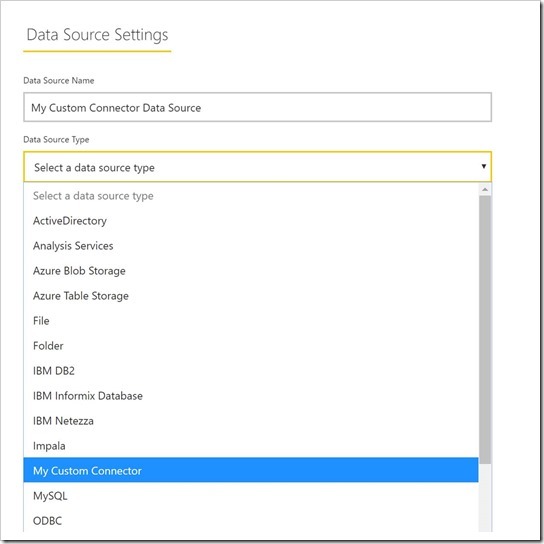 Once a data source is created for your new custom connector, you can now refresh Power BI reports using that custom connector in the Power BI service. Make sure the folder you create is accessible to the background gateway service. Typically, folders under your user’s Windows folder or system folders won’t be accessible. The gateway configurator will show a message if the folder is not accessible. Custom connectors with OAuth authentication are not yet supported in this release. The OAuth support will be coming soon via a service update. 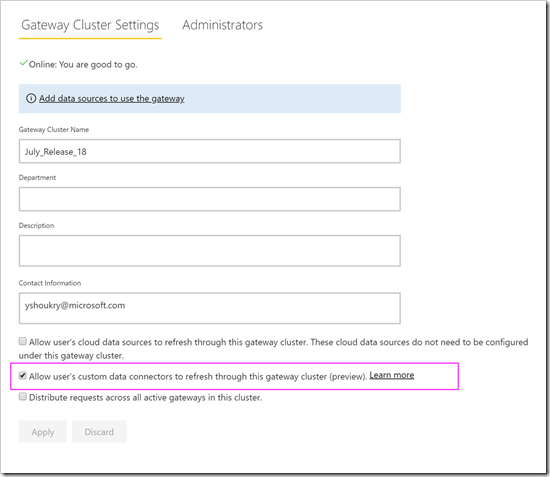 Custom connectors using Direct Query are also not supported yet. This support should arrive with a later update. In this month’s release, we’re adding Kerberos-based Single Sign-On support for the Spark connector. This allows end-user’s identity to be mapped to underlying Spark users when consuming a DirectQuery-based report on top of Spark in the Power BI Service. You can find more details about single sign on support using Kerberos here. When executing the network ports test, your gateway will retrieve a list of ports and servers from Azure Service Bus and then it will attempt to connect to all the servers and ports. When the Start new test link reappears, the network ports test has finished executing. To view the results of the last completed test, select the Open last completed test results link, as seen below. The test results will open in Windows’ default text editor.